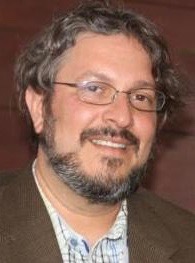 Mikey Cohen is an architect and principal engineer for the Netflix Edge Platform which is the front door for the Netflix streaming application. The edge platform supports more than ten billion incoming requests per day from over 1,000 device types and supports our over 50 million customers around the globe. Mikey has been a principal engineering leader at Netflix for over 10 years designing and leading engineering of the core systems and cloud infrastructure at Netflix including the Netflix API and edge services. He is the creator of Zuul, the open source routing tier that controls the edge of Netflix’s streaming and web services. Among the many key roles he has played at Netflix are architecting and building the Netflix edge service platform and Netflix API, migrating and scaling Netflix services from a datacenter model to the Amazon’s AWS, and building Netflix’s infrastructure out to multiple Amazon regions with failover from one region to another. His current areas of interest are in cloud reliability, high scalability, resiliency and dynamic cloud systems. Prior to Netflix, Mikey worked on building a distributed non-relational database, as well as various core technologies for several startup companies. Mikey holds a B.A in Mathematics from UC Santa Cruz. His favorite movie is Monty Python and the Holy Grail. When he isn’t working, you might find Mikey playing banjo, in the forest foraging for mushrooms, or enjoying time with his wife and three daughters.